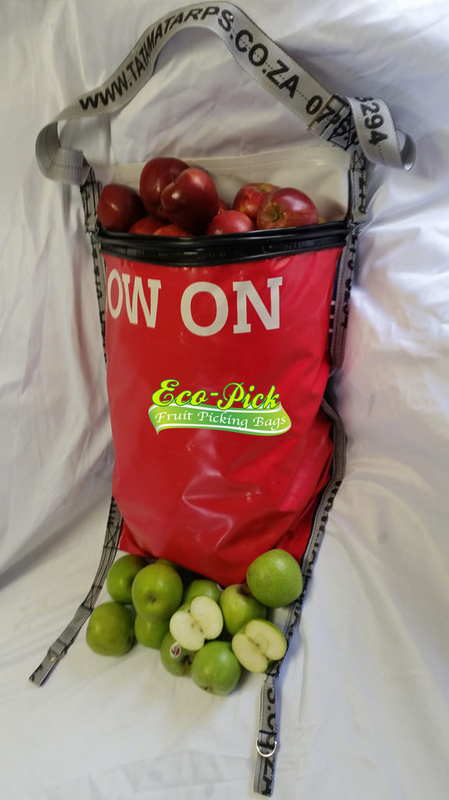 “Eco” pick offers quality open end and closed end picking bags that are manufactured from recycled 510g reinforced PVC. This making them both ‘’Eco’’nomical (cost effective) and again “Eco” friendly without compromising on quality or functionality as demanded by fruit and vegetable harvesting farmers. 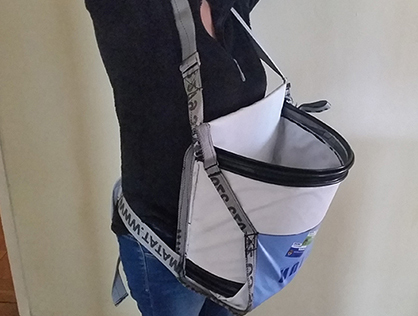 Due to the printing on the materials recycled, each bag has a unique printed design on the outside, but all are white on the inside. The fronts are fitted with. Our unique “pop out” technology rubber profile that keeps the bag permanently open at the top to assist with the harvesting process. All our standard picking bags have 900g heavy duty reinforced bottoms for extra protection of the heavy wear areas. Adjustable shoulder straps are made from 50mm UV stabilized webbing for comfort. 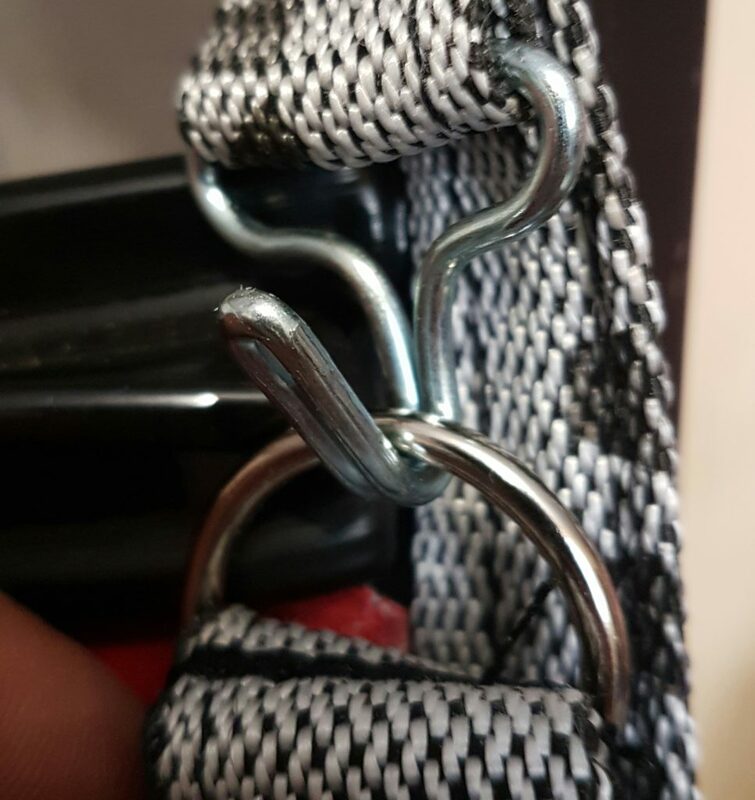 Metal hooks and rings are fitted on the open end versions, to easily open and close the bottom end of the bag. All bags are first high frequency welded together and then stitched for added strength and durability. 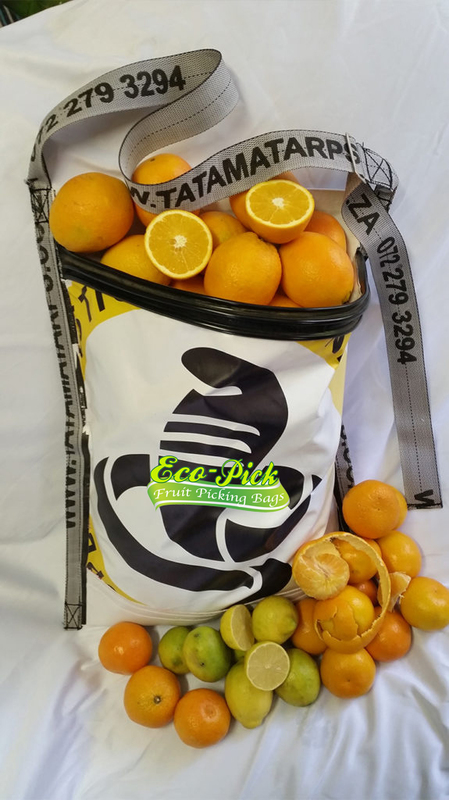 We have picking bags for all types of fruit, vegetables and other crops eg oranges, lemons, naartjies, avocados, mangoes, pears, apples, olives, peaches. As well as padded bag options for fruit that bruises more easily ie apricots, peaches, plums, and other stone fruit. 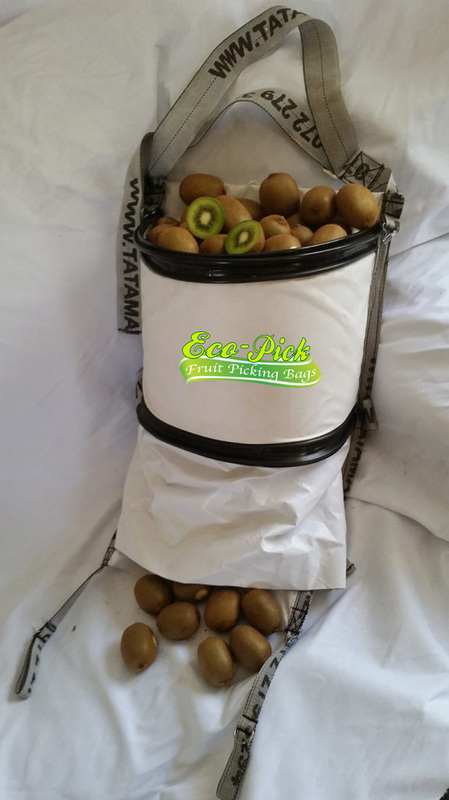 20kg, suitable for citrus, avocado and other fruit. 20kg, suitable for apples, oranges and other fruit. 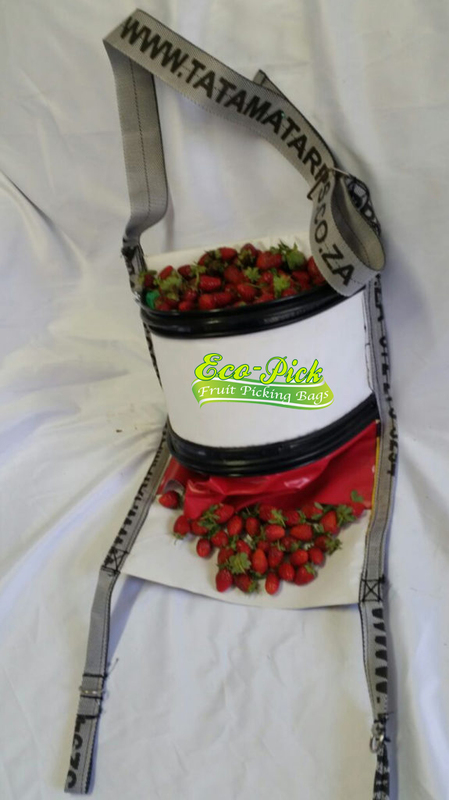 5kg, suitable for cherries, olives and other small fruit. 15kg suitable for peaches, apricots and other stone fruit, tomatoes, cucumber and other vegetables. IF WE DON’T HAVE A PICKING BAG SUITABLE FOR YOUR CROP, SUPPLY A SAMPLE AND WE WILL MAKE IT! !